(4. 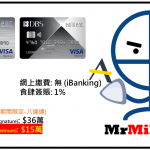 經里先生額外) 批卡後再去→額外RC連結填表入code「MM208」會再有額外50 Reward Cash! 我係新申請, 但是係現有客戶, 最紅自住獎賞set 左海外2X, supermarket3X. 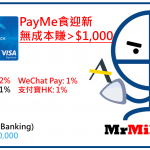 我之前已download reward+ app, 但未試過用reward cash找卡數，會否有100reward cash ? 唔係好明VS有”唔中自主5X但中6類別情況下”, 但係Platinum/銀聯就”完全唔中自主Red Hot Bonus類別情況下”. 係咪其實VS 有3種情況? 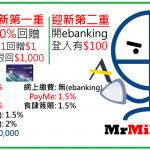 “賞世界” 係其中1類, 即係VS 無選”賞世界”, 所有海外簽賬都係 $2.78 = 1里? 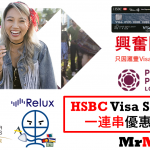 里先生, 個迎新優惠 advance visa platinum 會唔會有架? 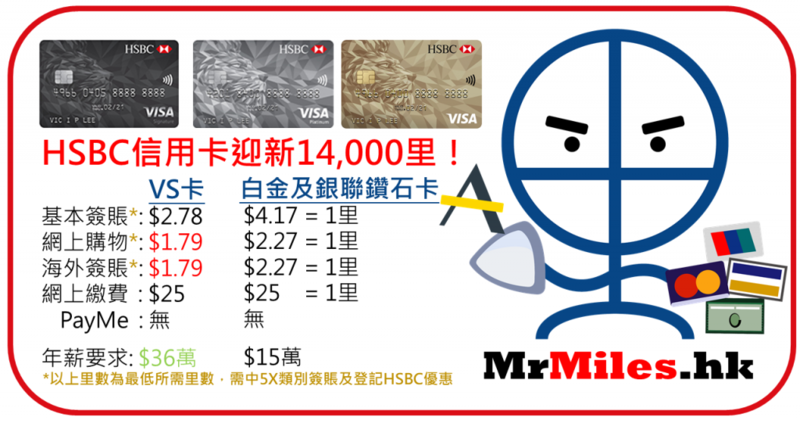 我上月用左$16700, 9成都係買機場酒店.. (expedia, wing-on, 同mytrip.com). Strange… I applied recently and got VS card already. I reported jobless but sent them my other account’s bank statement (over $600k). Approved with no problem. 請問現有客戶係咪都有迎新? 另, 如果apply 多張卡, 個最紅5倍係咪跟舊卡個setting? thanks….